Shots and a recap from our day Street Preaching in Mobile AL. 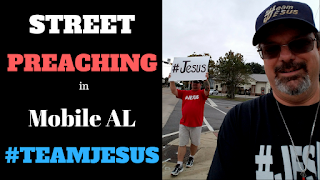 We preached on a busy street in Mobile Alabama. We met a blessed girl named April who had a testimony. We preached across from a police station.